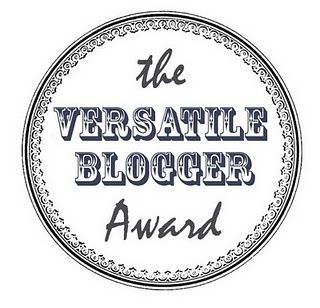 Versatile Blogger Award | Rodposse. Special thanks to EllaDee ( http://elladeewords.wordpress.com ) who sent me an e-mail about this award and of course for putting my blog in the list with the 20 best blog that he follow. 3. Pass this award along to 15 or 20 bloggers you read & admire. Now, I guess I have to write 7 things about me..hmm..
You’re a popular guy, I was just stopping by to drop you the same Versatile Blogger award. You could start a collection of them 🙂 Great blog & looking forward to seeing more of your images. Flobo, congratulations on your award – it is well deserved and I really am happy for you. Also, thank you for your recognition of me, I take that as a sign that I am doing something worthwhile, and that is very gratifying to me. That really is all I want or need, so I’ll decline the nomination and just keep on blogging. Hope you understand and let’s keep visiting each other! It’s in the blood. If my camera breaks, and I’m to poor to buy another, then I’ll just build a pinhole camera. Yes, exactly!! !That’s why I am trying to take my camera with me wherever I go! Hello again Pause – congratulations on your award…you are very deserving of this kindness and honor. Beautiful photos…as always. And thank you for sharing your honor with me. I do appreciate your kindness…and that you enjoy my blog. We’ve nominated you for the Versatile Blogger Award too (see http://windagainstcurrent.com/2012/03/21/versatile-blogger-award-take-two/)… but we see you got it from another source before we could post! Congratulations on all the blogger awards you’ve earned! Well done! Gotcha! I’ve nominated you for the Lovely Blogger Award, drop in to my page http://eat-o-live.com/ for details – congrats!!! Wow, thank you so very much, Rod. Can’t believe I came across this two years after the fact. Still, I’m all smiles. Hope you receive this very belated message soon. Thank you again for sharing this with me!